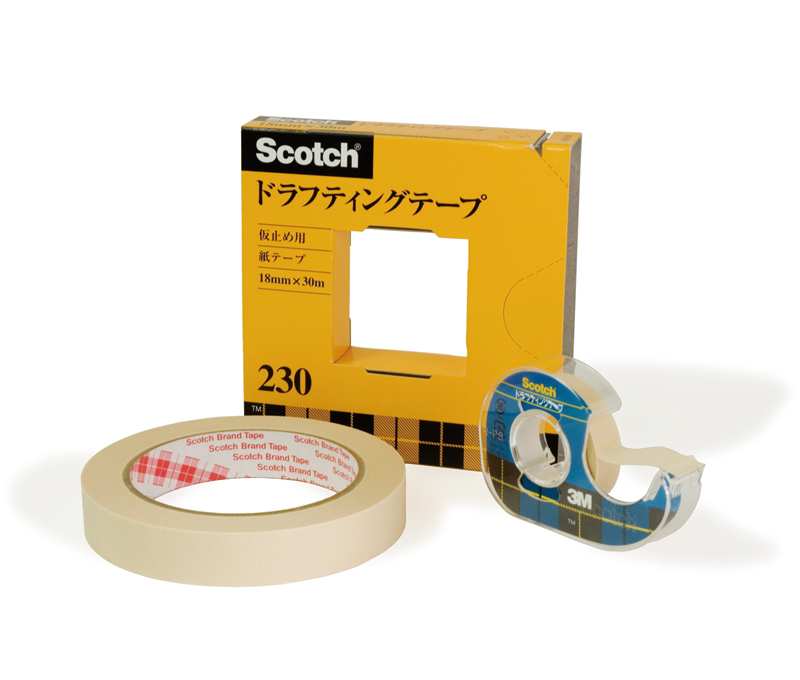 Drafting tape is coated with a weak adhesive and is mainly used to fix paper to drafting boards and to hold lettering, etc. while designing and doing layouts. It is also used to hold photographs and stencil templates in place on mounts and painting areas to check their positions. It can also be used like masking tape in airbrush and flat wash work (to protect areas that are not to be painted and to produce different colors side by side). The adhesive on cellotape is too strong for holding purposes and will damage the paper when it is removed so it is better to use drafting tape with its weaker adhesive coating. When fixing paper to a drafting board, a T-square is used to check the level of the paper and the drafting tape is used to fix the paper to the four corners. Drafting tape uses a crepe paper backing with a wrinkled surface. Because it is made from paper, it is easily torn off by hand and the wrinkled surface can also be used to some extent to adhere to curved shapes. When peeled off, there is no damage to the surface of the paper. 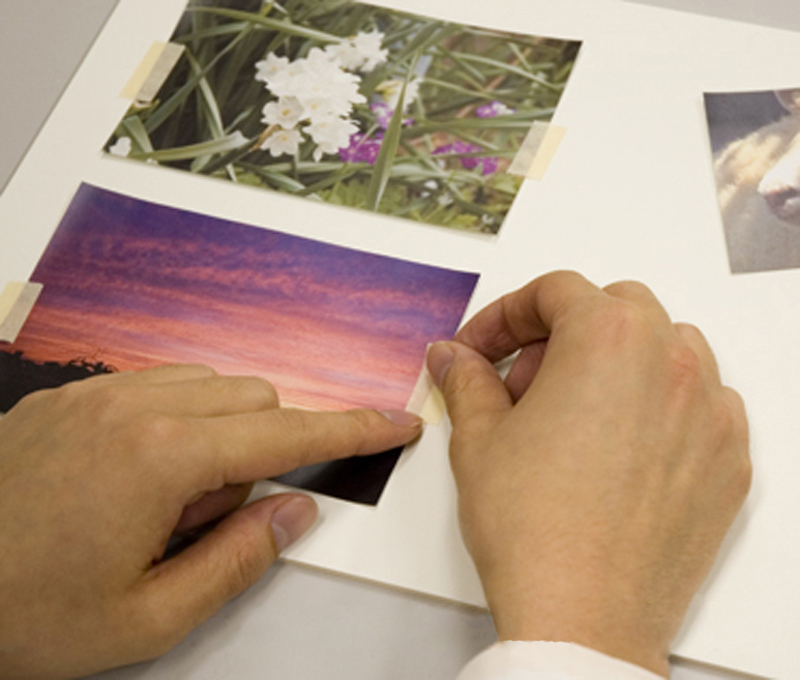 Drafting paper comes in widths of 6mm, 15mm, 24mm and 30mm, etc. for a variety of applications. It can be purchased at art supply stores.